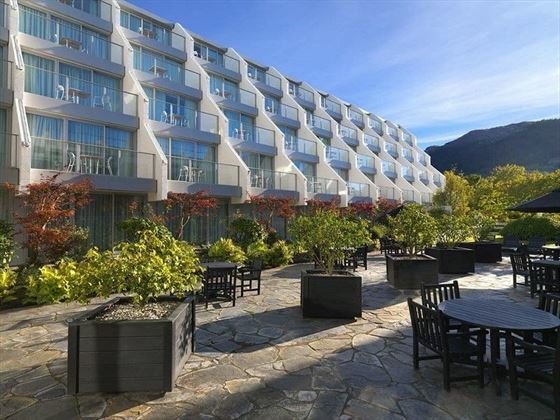 With the phenomenal Lake Wakatipu and Remarkables mountain range as its backdrop, it’ll come as no surprise that Crowne Plaza Queenstown is tranquil and relaxed. 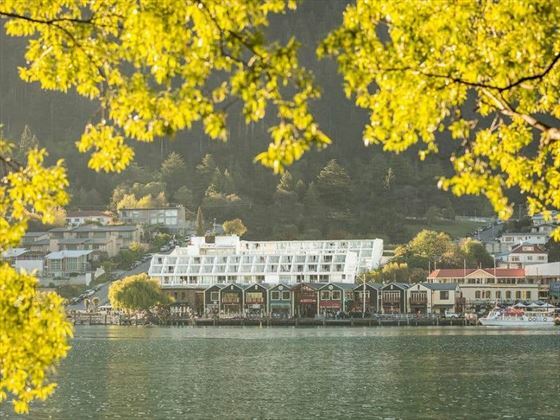 With contemporary décor, stunning views and a decadent restaurant, this trendy hotel has all you need for a stylish stay in Queenstown. Many of the 139 rooms and suites overlooking the lake, or you could of course opt for one of the quiet rooms for a true sense of serenity and privacy. 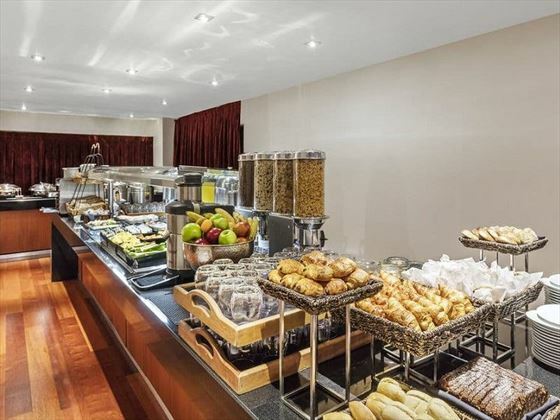 Step out of your retreat and you’ll only be steps away from Steamer Wharf, a complex full of cool restaurants and bars, or you could indulge with a dinner at the hotel’s own threesixty restaurant. With sumptuous dishes including smoked scallops and Akaroa salmon, this modern eatery really hones in on its local flavours. The well-equipped fitness centre is great for those hoping to keep active, or you could wander along the water’s edge and breath in the fresh air. 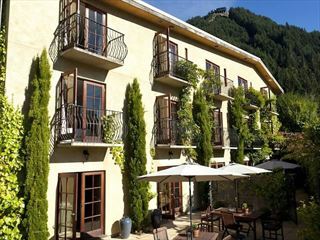 Whatever you decide, Crowne Plaza Queenstown will certainly offer you a serene and pleasant stay. 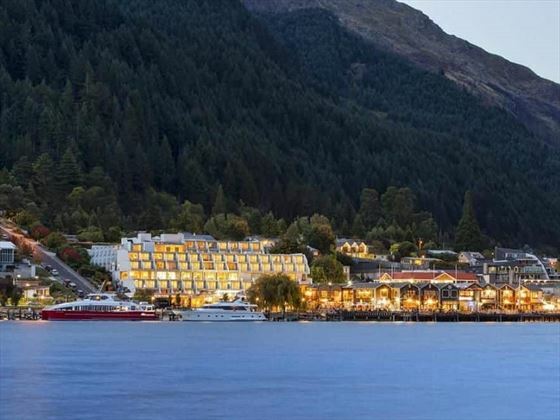 Crowne Plaza Queenstown is nestled in the heart of Queenstown, overlooking the sparkling Lake Wakatipu, and the majestic mountains that frame it. Just across the road is Steamer Wharf, home to a wide range of fantastic bars, restaurants and entertainment. Courtyard View Rooms – Classy rooms looking out onto the internal gardens, featuring either a balcony or direct courtyard access. 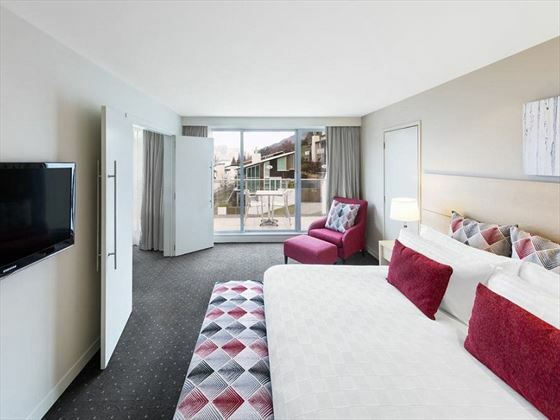 Mountain View Rooms – Bright rooms featuring partial views of the soaring Remarkables mountain ranges. Balcony View Rooms – Gorgeous rooms with partial views of the lake and mountains from the scenic balcony. 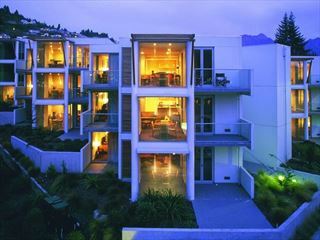 Lakeview Rooms – Modern rooms offering beautiful views of Lake Wakatipu and Queenstown township. 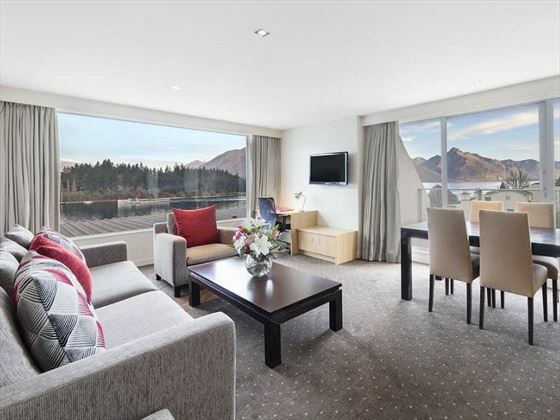 Deluxe Suites – Contemporary suites overlooking the Remarkables mountain range and Lake Wakatipu, featuring a spacious lounge and dining area with huge windows, and a top floor location. 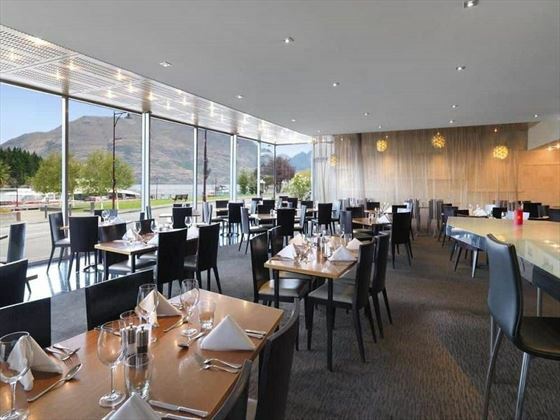 Threesixty Queenstown Restaurant – A relaxed restaurant that is known as one of the best in Queenstown, serving up flavoursome, elegant dishes created with local ingredients. The gorgeous views of Lake Wakatipu create the ideal backdrop for dining on venison tataki and smoked scallops. 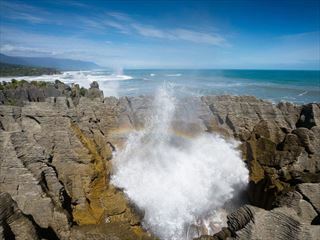 A scenic eight night trip which journeys to some of New Zealand's most famous locations, including Queenstown, Milford Sound, the Southern Alps and the Haast Pass.